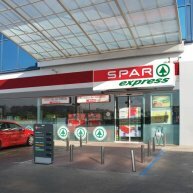 SPAR operates a multi-format retail strategy, allowing SPAR Partners to adjust their retail proposition to meet specific customer needs in different markets. The SPAR, SPAR Express, EUROSPAR and INTERSPAR formats are constantly modernised and updated to ensure the best possible shopping experience for SPAR customers the world over. SPAR Express is our format designed for high footfall transit locations such as petrol stations, airports, bus & railway stations and city centres. With a sales area of between 100 and 300m2, SPAR Express is ideal for smaller sized retail locations, allowing for extended opening hours. The SPAR Express assortment is focused towards the convenience shopper looking for food on the go or to top up their weekly shop from the larger supermarkets. The SPAR Express format provides shoppers with everything they need when they need it. SPAR is the original format and as it is operated by all SPAR Partners, is the cornerstone of the SPAR Brand. It is designed for local neighbourhoods in both urban and rural areas and provides shoppers with everything they need on a daily basis. With a sales area of 200 to 1,000m2, the flexibility of this format makes it suitable for all retail markets. The majority of SPAR stores are independently owned and operated and thus have an important place in the heart of the community. EUROSPAR is our larger supermarket format and is aimed at weekly family shopping needs. 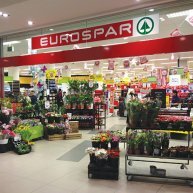 EUROSPAR Supermarkets have a retail sales area of between 1,000 and 3,000m2 and are found in shopping malls, as stand-alone supermarkets or in city centres where space permits a large supermarket. The larger sales floor allows for a full service assortment that is both large and varied in fresh foods, groceries and non-foods, but can also include a strong Food-to-Go offer. The wide choice and parking facilities makes EUROSPAR the preferred choice for the weekend shopping trip. In Africa, these stores are known as SUPERSPAR. 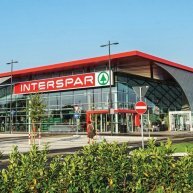 The INTERSPAR Hypermarket is the largest SPAR format with a sales area in excess of 3,000m2. It is focused on being a one-stop shop with the largest selection in both food and non-food items. The format can be adapted to suit standalone, purpose built sites as well as large shopping centres where INTERSPAR can play a standout role in attracting shoppers. The format is particularly successful in Central Europe, China, Russia and India. Interested in becoming a SPAR Partner ? 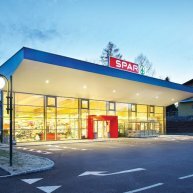 As a global retail brand, present in more than 45 countries with over 12,770 stores, SPAR is always looking for new opportunities to expand, working with wholesale and retail partners to grow the worldwide business.